For the first time in English, this new book by Lorraine Wilcox covers in detail what the classic Chinese medical literature says about the use of moxibustion and how to apply this information in your clinic. A complete history of the use of moxibustion in from the Han dynasty (200 BCE) through modern times. Detailed information about the source materials used for this book along with passages in Chinese in every chapter as relevant. Lorraine Wilcox has been a licensed acupuncturist in California since 1989. She received her Ph.D. in Classical Chinese Medicine from American University of Complementary Medicine and has taught herself to read Chinese. Wilcox is also an assistant to Master Larry Sang of the American Feng Shui Institute and teaches in some of the acupuncture schools in the Los Angeles area. Lorraine Wilcox is both a scholar of classical Chinese medical texts, and a practitioner of acupuncture, and this excellent book on moxibustion reflects both of these dimensions. Part One discusses the basic functions of moxibustion, its advantages and disadvantages and its numerous methods of application, mostly with reference to classical applications, and gives an overview of its history from pre‑Han to modern times. It also discusses the history of preventative moxibustion and considers the age‑old discussion of whether or not moxibustion can be used in heat conditions. Moxibustion dates back as least as far as the second century BCE. The scrolls found in the early Han tomb at Mawangdui (sealed in 168 BCE), include ‘Moxibustion Canon of the Eleven Yin and Yang Vessels’ and ‘Moxibustion Canon of the Eleven Vessels of the Foot and Forearm’. Interestingly none of the Mawangdui texts mentions needling. Part Two, ‘Moxibustion in the Ming Dynasty’ forms the bulk of the book. Wilcox argues that the Ming dynasty (1368 to 1644) represents the peak of Chinese medicine. It was a period when doctors were able to access many different schools of medical thought, partly due to access to medical texts facilitated by moveable type and block printing, and also a time when Western medical influence had not yet infiltrated traditional medicine. From this period she has chosen the moxibustion writings of three great physicians; Li Shizhen, Yang Jizhou and Zhang Jiebin who wrote the Great Pharmacopoeia, the Great Compendium of Acupuncture and Moxibustion, and the Illustrated Supplement to the Categorized Classics/[Zhang] Jingyue’s Complete Works respectively, within forty years of each other. From these texts she draws numerous illustrations of the general application of moxibustion (e.g. supplementing and draining, the size and number of cones, special positioning of the patient, inducing moxa sores etc. ), the points used and contraindicated for moxibustion, various moxibustion materials etc. The methods too are extremely varied. For ‘wind worm toothache’, for example, the smoke of a burning roll of paper, wax and mugwort, is inhaled on the side of the pain. 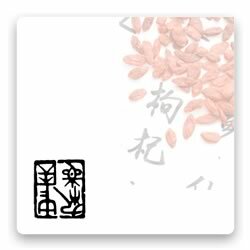 Other materials used in combination with moxibustion include garlic, aconite, scallions, fermented soybeans, salt, fresh ginger, chives, buckwheat, croton seed etc. Final chapters in part two cover classical case studies, the timing of treatment, magical moxibustion and the treatment of ghost evils. Overall this is a thoroughly researched, fascinating and often practical book on what may be becoming an increasingly neglected part of the art of zhenjiu (acupuncture and moxibustion).